When it comes to red light cameras, states have come to different conclusions about them. 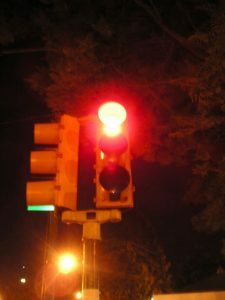 According to the Governors Highway Safety Administration (GHSA), 21 states plus the District of Columbia have laws that permit some form of red light camera use, while 10 states prohibit use of them. Another 19 states haven’t decided one way or the other. So it makes sense, then, that jurisdictions in Florida haven’t come to a clear consensus either. The state allows the cameras and cities can make up their own minds about how to implement them. The traditional penalty for red light running is $125 and three points on your license. Paying a red light camera ticket will result in a $158 fine, but no points on your license. But now, even the courts have taken sharply different stances on the issue. In Florida v. Jimenez, Florida’s Third District Court of Appeal has held that the red light camera program in Aventura does not violate a state law that prohibits farming out law enforcement responsibilities to private companies. The issue was whether the review of red light camera footage by the private companies that provide, install and maintain the cameras crosses the line. Personnel for these firms first review the footage and then forward perceived violations to local law enforcement, which also reviews and then decides whether to issue a ticket via mail. But the ruling by the 3rd DCA was very different from one handed down in 2014 by the Fourth District Court of Appeals, which ruled Hollywood’s red light camera system illegally delegated law enforcement functions to the camera provider. In the more recent ruling, the 3rd DCA called on the Florida Supreme Court to settle the conflict, specifically laying out three questions that need to be answered, each centering on whether cities are in fact allowing private camera providers to ascertain guilt and issue citations. In the Jimenez case, the police sergeant who oversees the program explained that there are some 5,000 images captured in a database every single month from the red light cameras just in that one city. Every month, about 3,000 of those are sorted into a non-working database by the camera company. The other 2,000 are forwarded to the police. He posited that if the police were to need to sort through all 5,000 images, his department would be overwhelmed. It was also noted that the vendor camera company is responsible to print, mail and process notices of violation as well as citations. In the meantime, rules are different in other municipalities too. For example, Boynton Beach commissioners recently weighed whether to keep red light cameras after the question was raised about whether they were causing more rear-end collisions, due to drivers slamming on brakes to avoid a ticket. The commissioners ultimately voted 3-2 to keep the cameras. But Miami-Dade County Commissioners reached a different conclusion recently. They ruled that because the cameras had become a “source of tension throughout our community,” they would not longer be used in non-incorporated areas of the county. However, it won’t affect municipalities with the cameras.